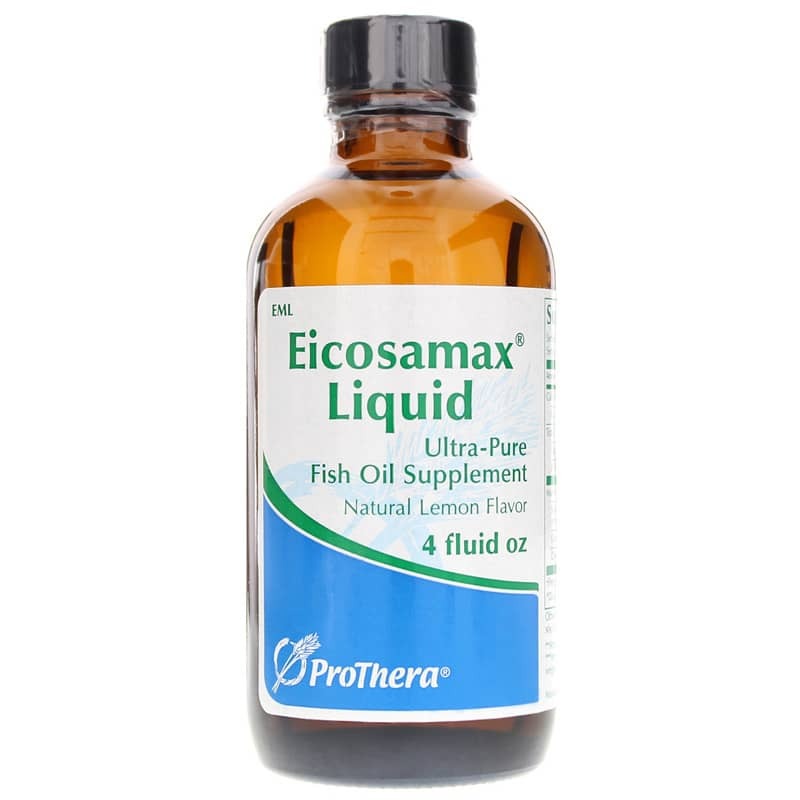 Eicosamax Liquid Ultra Pure Fish Oil from Prothera/Klaire Labs supplies highly-concentrated amounts of important omega-3 EPA and DHA fatty acids. Exceptional purity: Starting with small species of wild fish harvested from cold, pristine, deep ocean waters, the oil used in ProThera products undergoes molecular distillation, ultra-filtration, and other purification processes to remove contaminants while maintaining nutritional integrity of the oil. 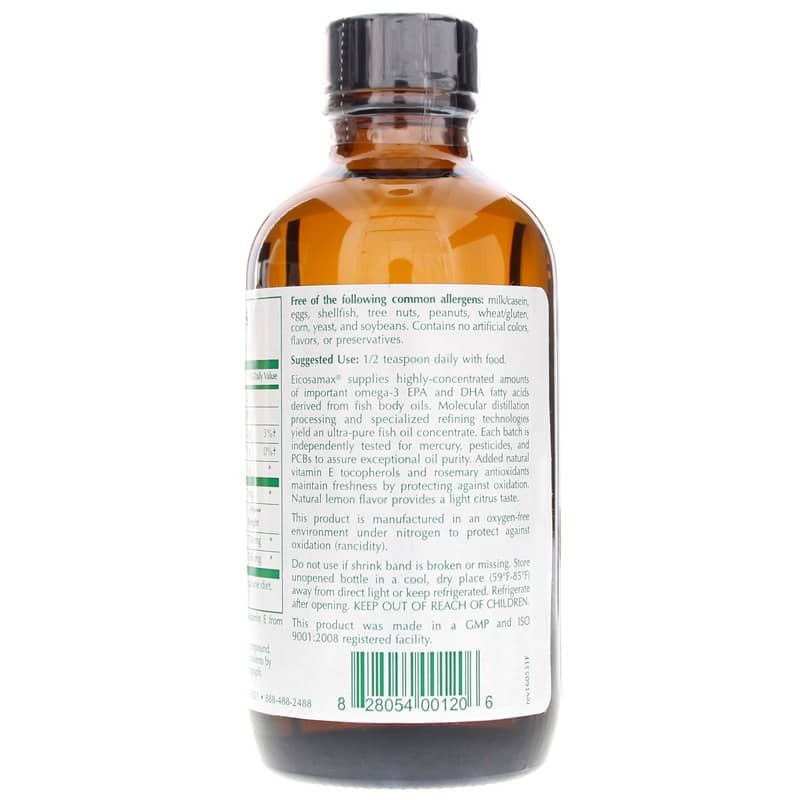 This reduces mercury and other heavy metals, pesticides, PCBs, and dioxins to exceptionally low levels in strict adherence with international standards of purity. 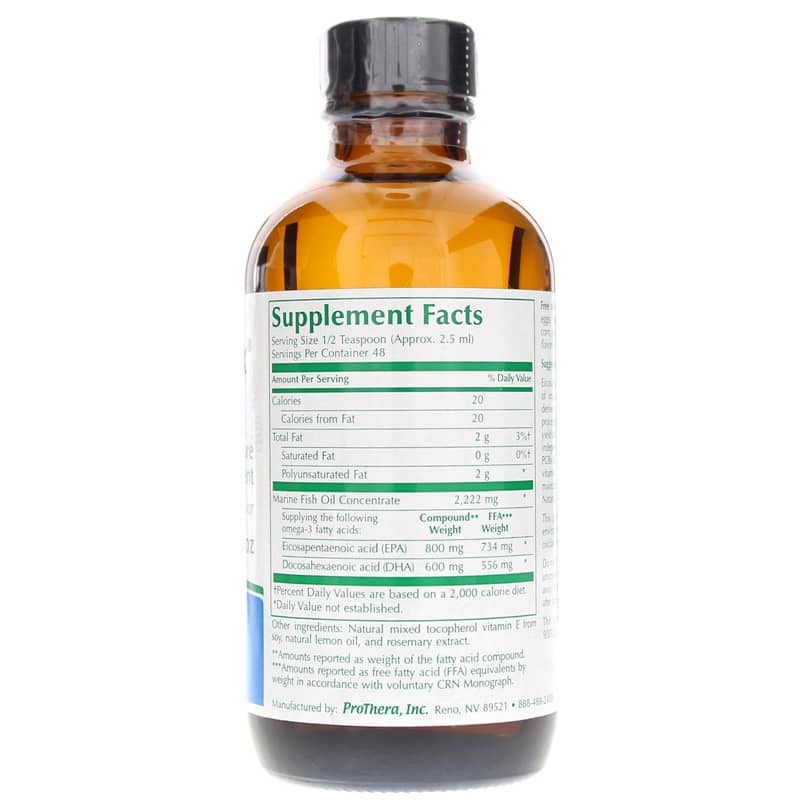 Other Ingredients: Natural mixed tocopherol vitamin E, natural lemon oil, and rosemary extract. Contains NO: milk, casein, eggs, shellfish, tree nuts, peanuts, wheat, gluten, corn, yeast, artificial colors, flavors or preservatives. Adults: Take 1/2 teaspoon daily with food or as recommended by a healthcare professional. My daughter takes 8000mg fish oil and Eicosamax Liquid Ultra Pure Fish Oil is helpful and easy to take. I like that there is no shipping cost and it is sent quickly. Taking this product has changed my life.